These are vintage acrylic teardrop beads. They have a bumpy or wavy surface. 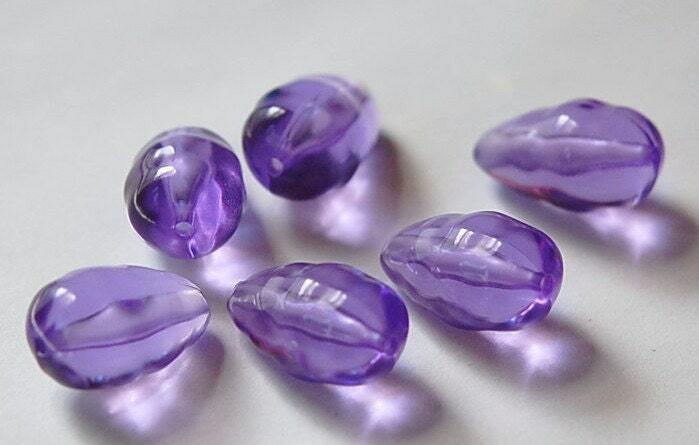 These are translucent purple. The beading hole runs top to bottom. These measure 19mm long X 12mm wide. You will receive 6 pieces.